Join us at our Next Household Hazardous Waste Collection event! All medications are accepted without question or cost at the Household Hazardous Waste event. Syringes and other medical sharps are not accepted at the Household Hazardous Waste event. Syringes and other medical sharps pose a SEVERE HEALTH RISK to collection and processing crews if not disposed of properly. Never place loose syringes or sharps in trash containers, please secure all syringes and sharps in a sealed container such as a sharps jug, coffee can, or laundry soap container. You may also contact local pharmacies to inquire if they accept these items for safe disposal. 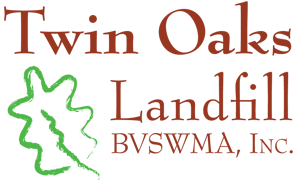 Likewise, if you have leftover or unwanted prescription and non-prescription drugs that require immediate disposal, The Brazos County Sheriff’s Office has a RX Drop Box in their lobby that is available 24/7. The Walgreens located at 3312 E 29th St, Bryan, TX 77802, also has a drop-box for disposal. Many other potentially hazardous wastes may be accepted at the collection event that are not listed here. 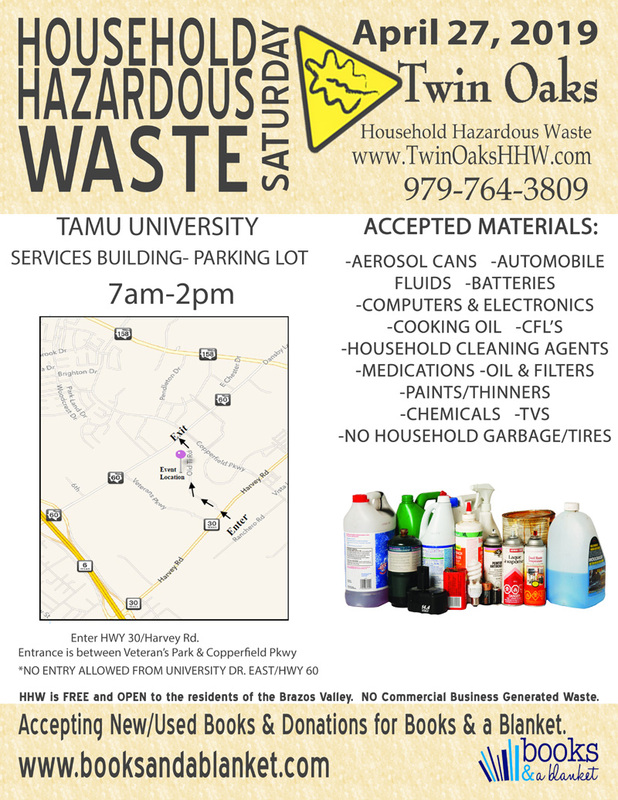 If you are unsure about a specific material, please call the Twin Oaks Landfill at 979-764-3832.